I love doing the turkey and gravy. 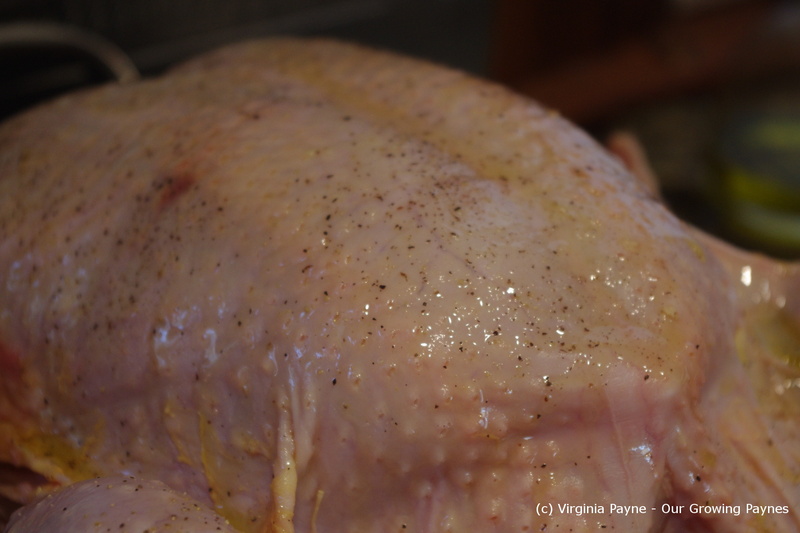 Now you always hear about the debate about using brine on the turkey or dry roasting it. I don’t do either and I’ve never had a dry turkey. 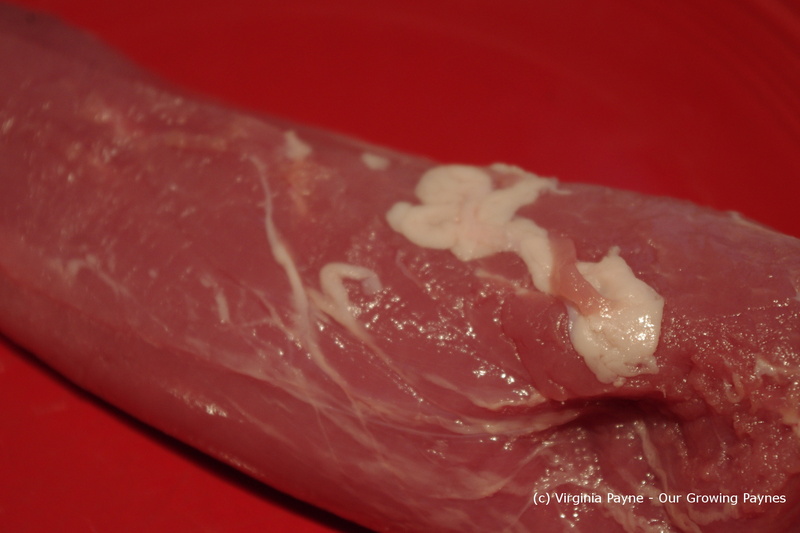 It comes out moist and flavourful. 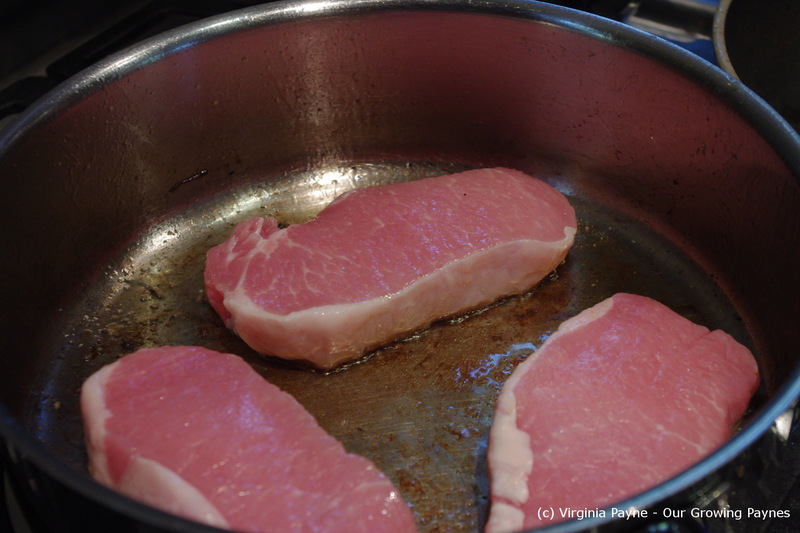 Heat the oven to 325 F. The Fanny Farmer Cookbook recommends 15 minutes per pound if less than 16lbs and 12 minutes per pound if more than that. Our turkey was just a smidge under 14lbs. Also, I recently read that heirloom turkeys when done can still have pink tinged juices so you want the turkey to be 165 F when finished deep in the meat. We got our turkey from a local farm two towns over so I was glad I read about this. 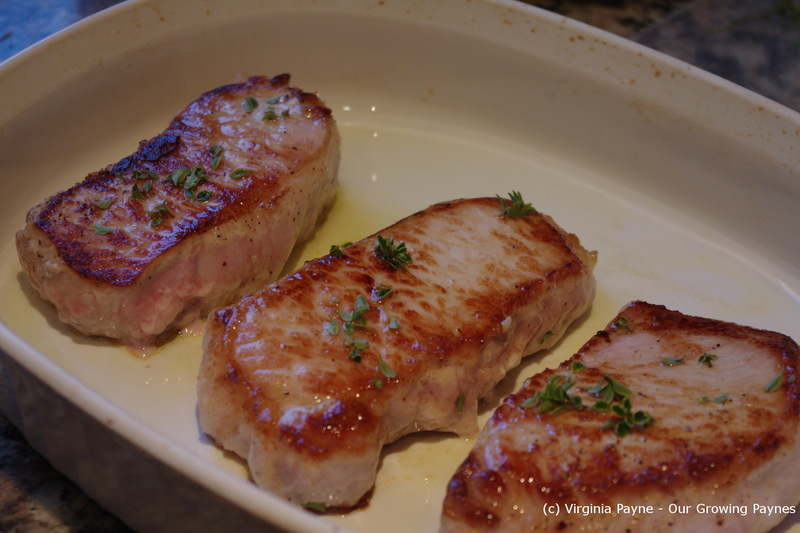 Once I put it in the roasting pan I drizzle it with olive oil. 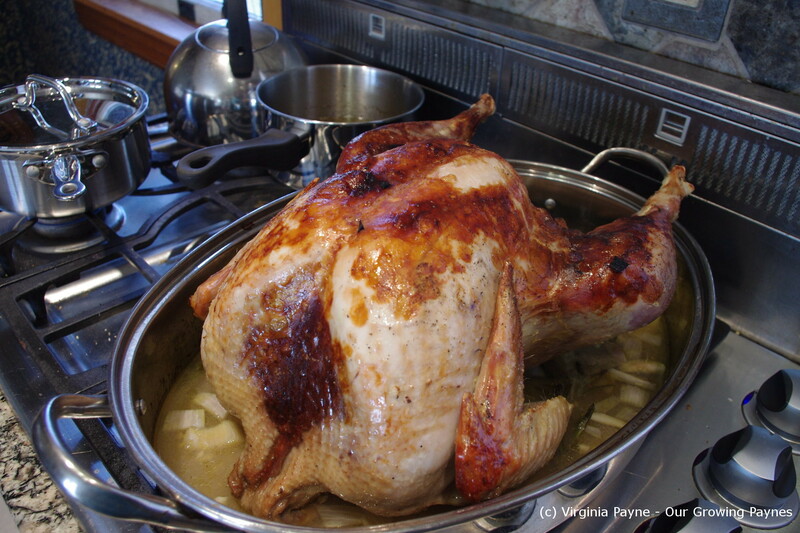 Another tip with the turkey, don’t wash it, just put it in the pan. Washing it will spray germs. I liberally apply salt and pepper to the skin. 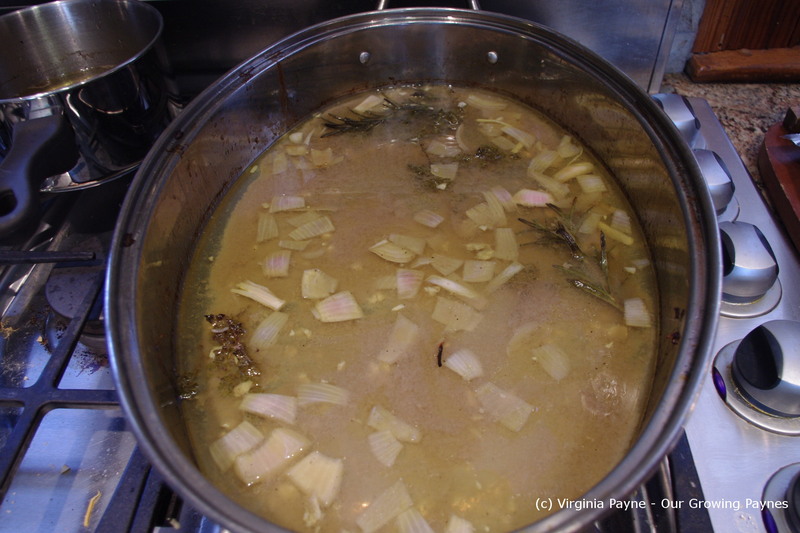 Whatever is added now is the base for the gravy so it is important to use the best ingredients. 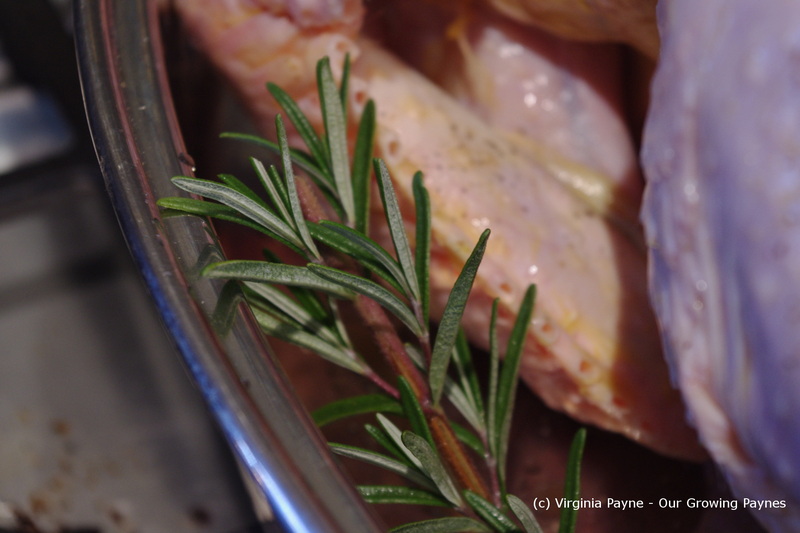 I grabbed some rosemary and lemon thyme from the garden and put the sprigs into the pan. 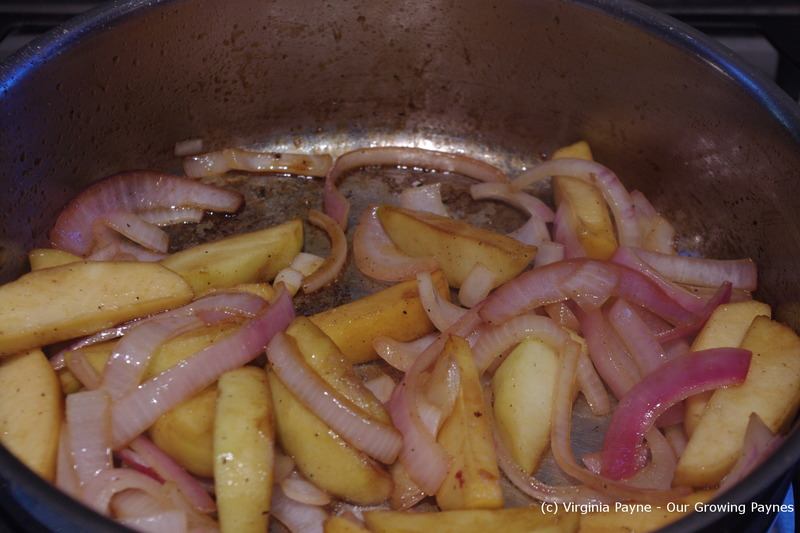 I chop up some garlic and onions and toss these in. 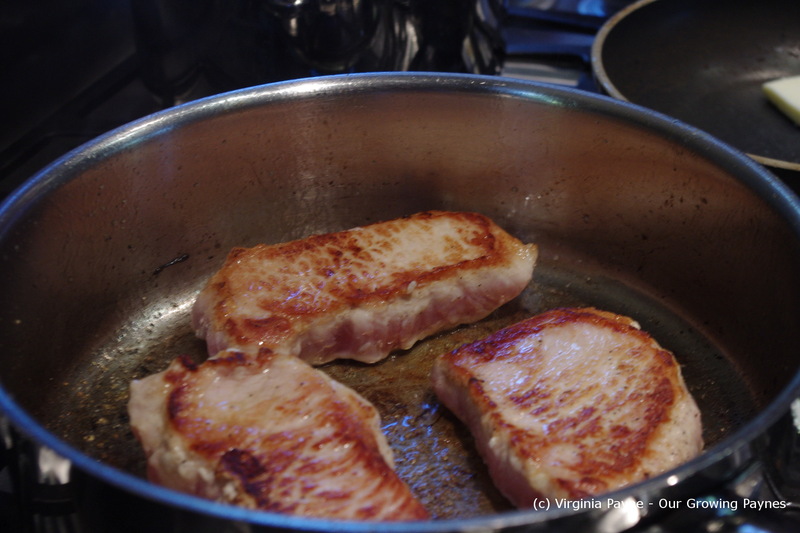 Next I add a few cups of water and about 3/4 cup of white balsamic vinegar. It has a lemony taste that I was going for. Cover and pop into the oven. 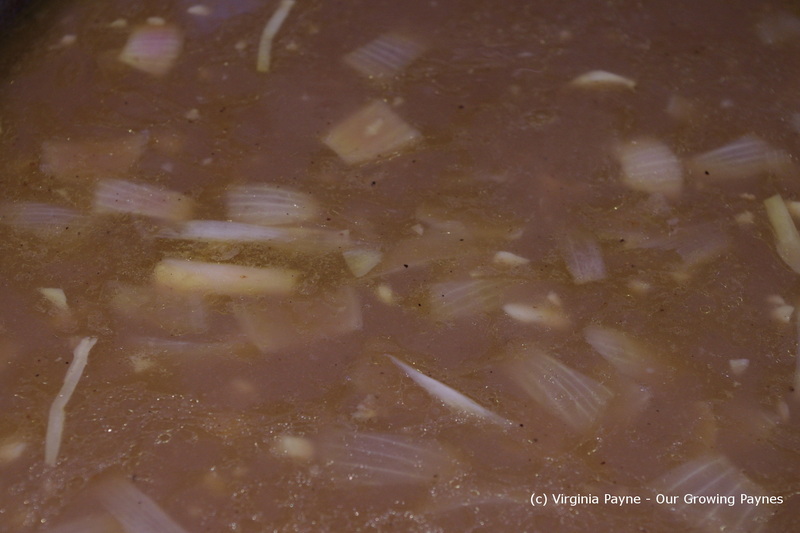 To add another layer of flavour to the gravy I simmer the heart, liver, and neck in water while the turkey is cooking. 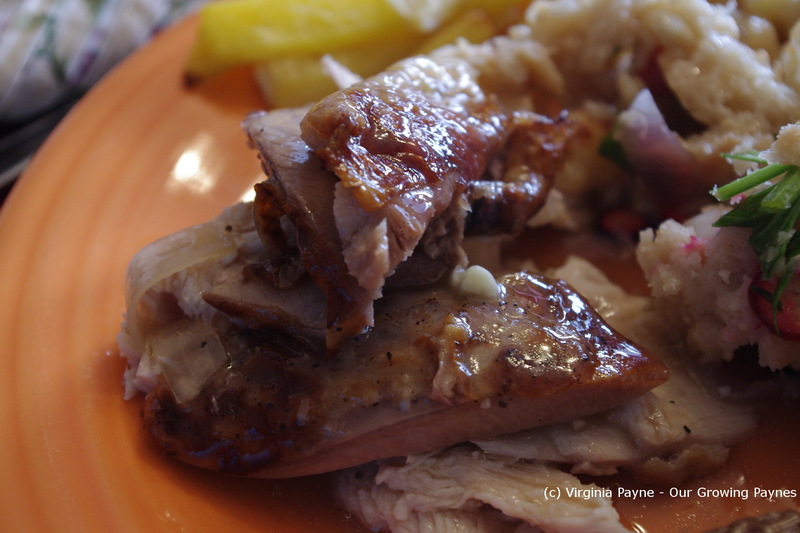 I keep the turkey covered for most of the cooking time so it steams with all the flavours. For the last 20 minutes or so I uncover it to brown a bit. Now as my daughter and I are the only ones that really like the skin my main objective is to keep the turkey moist rather than crisp the entire skin. There are times I get it really crisp and sometimes it is like this time round not so crisp. I set the turkey aside covered to rest while I make the gravy. 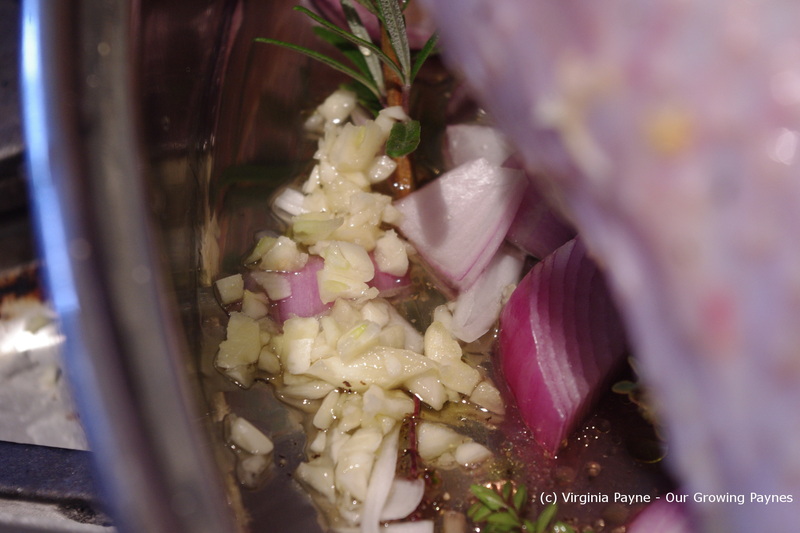 I remove the sprigs of herbs and add the water from the neck, heart, and liver to the gravy. I set aside the neck to add to the stock I’ll make. 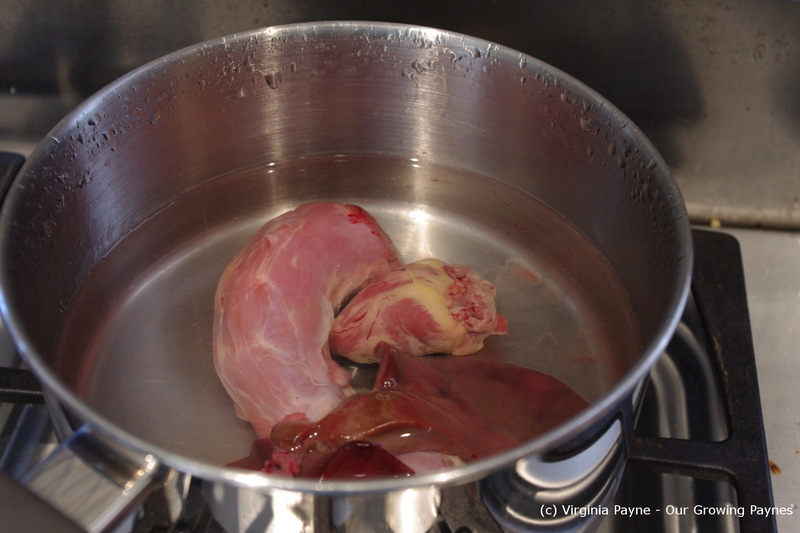 The dogs get the heart and liver. 🙂 Bring the gravy to a boil and add either flour mixed in water or corn starch mixed in water to thicken. Add a bit at a time until you get the consistency needed. I also add a bit of gravy master for flavour and colour. Season as needed. It’s important to boil as it thickens so you don’t have a flour taste. I stir regularly to keep it all the same consistency. It was wonderful having my parents, my aunt, and my sister and her family around the table with our family. As some are vegetarian we have a lot of turkey left over! Time to get creative. 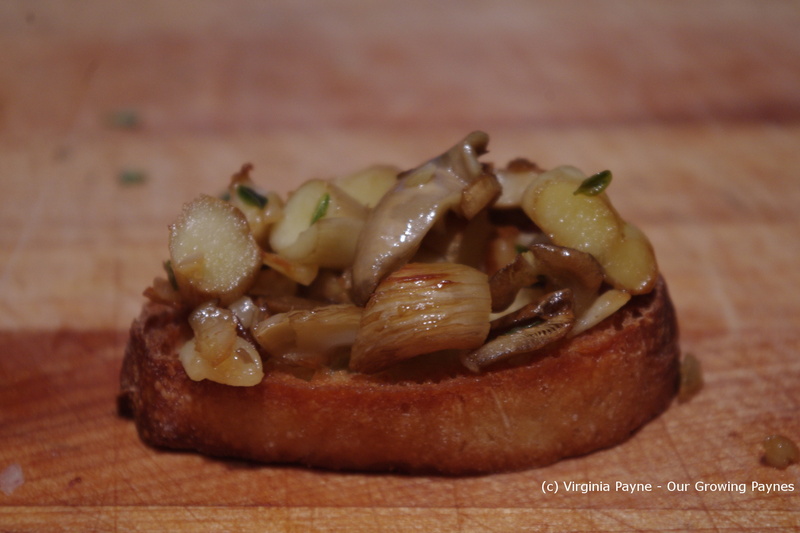 To go along with the bacon crostini I also did a mushroom crostini with the mushrooms we grew out of that kit. 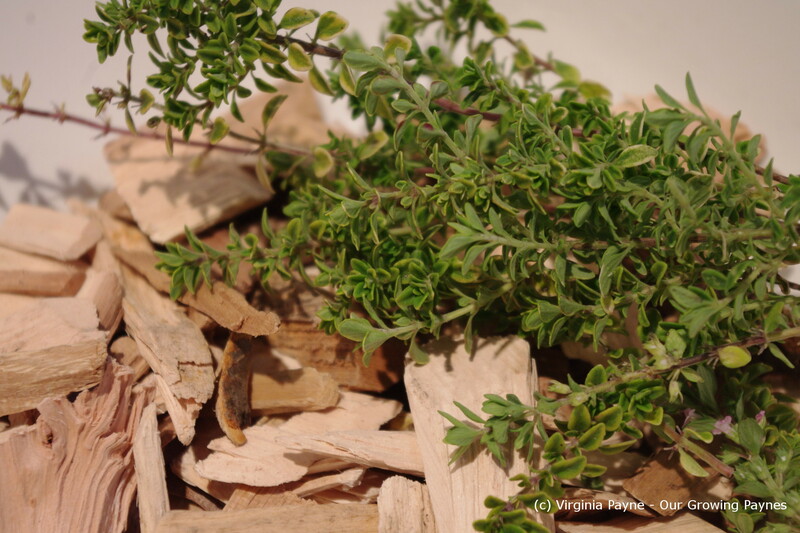 This is also very easy to make and has a wonderful earthy flavour. 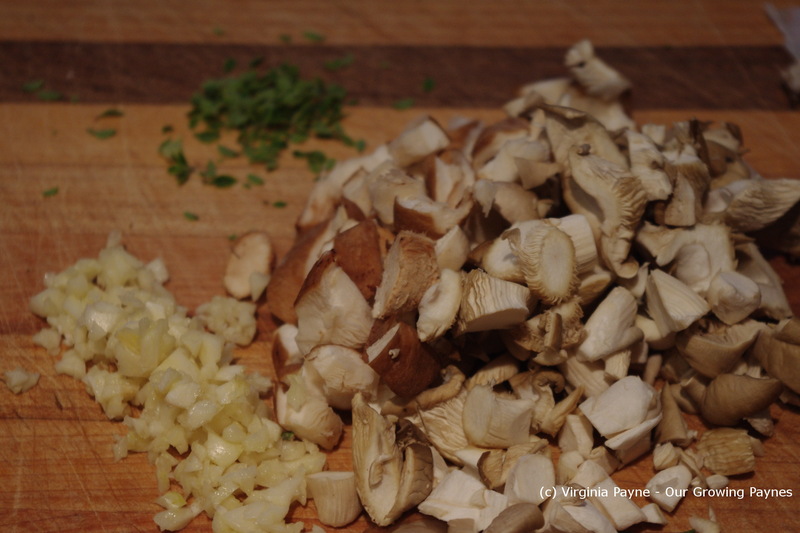 I chopped up the mushrooms. Here I used shiitake and oyster mushrooms. 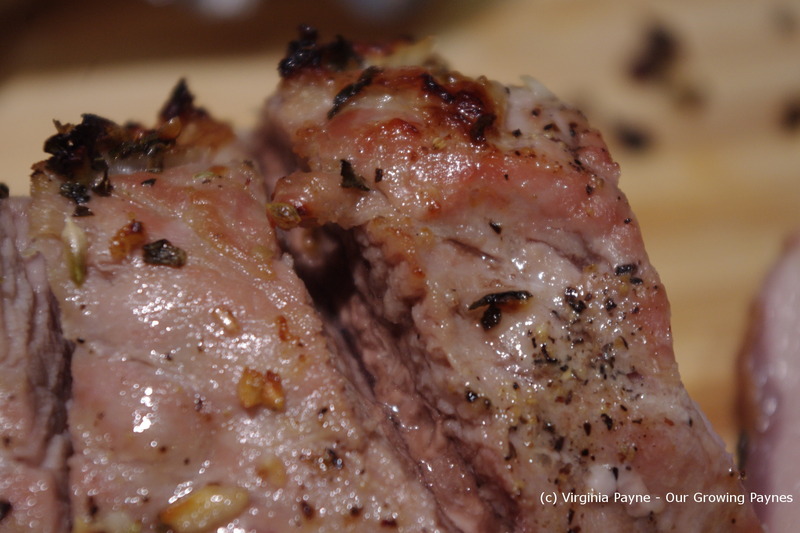 I also used garlic and lemon thyme. I saute these ingredients in olive oil. You could use butter if that is your preference. 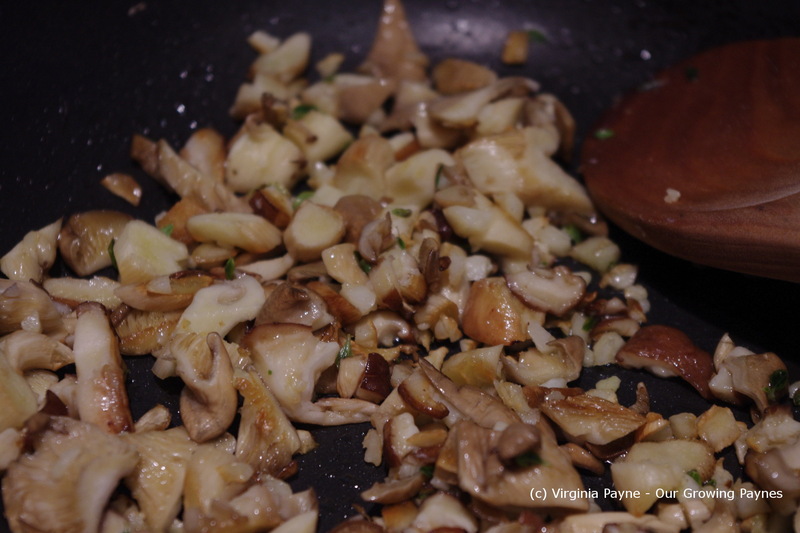 Once the mushrooms start to brown a bit I then put in some very dry sherry. 1/4-1/2 cup depending on the taste you are looking for. 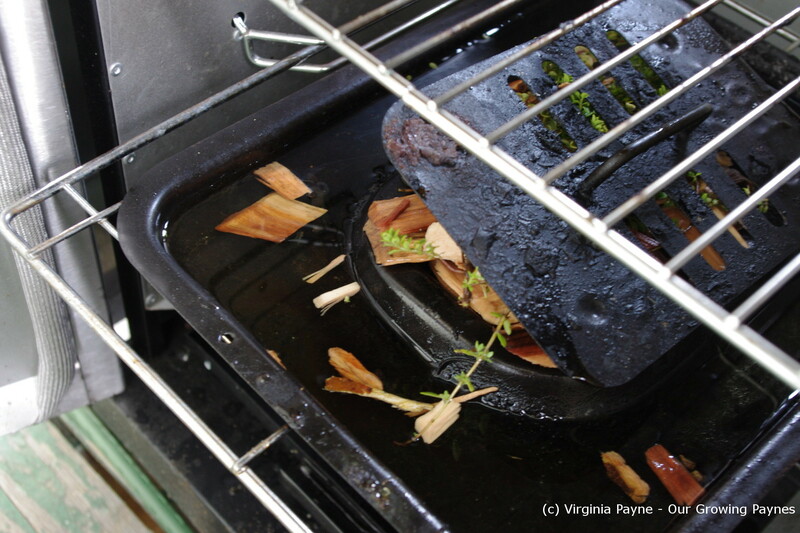 While these are cooking toast up some crostinis with olive oil. Spoon on and enjoy! 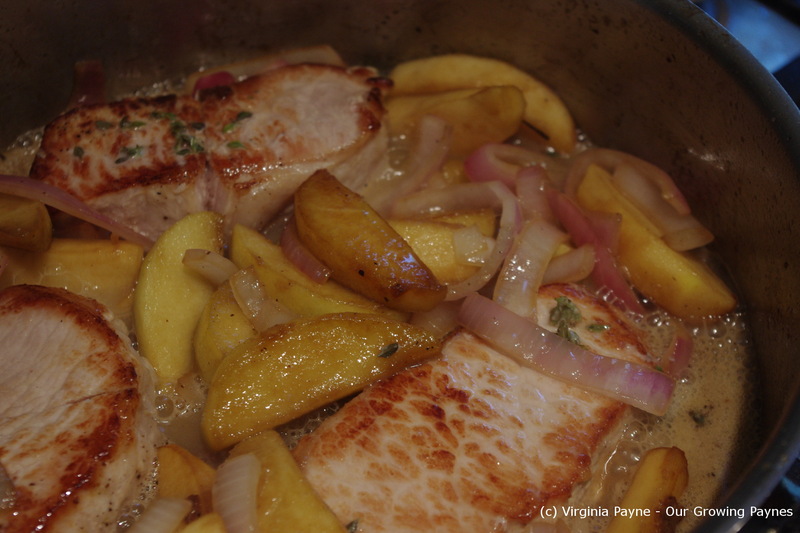 This takes less than twenty minutes to make so is a great dish when you are in a rush.